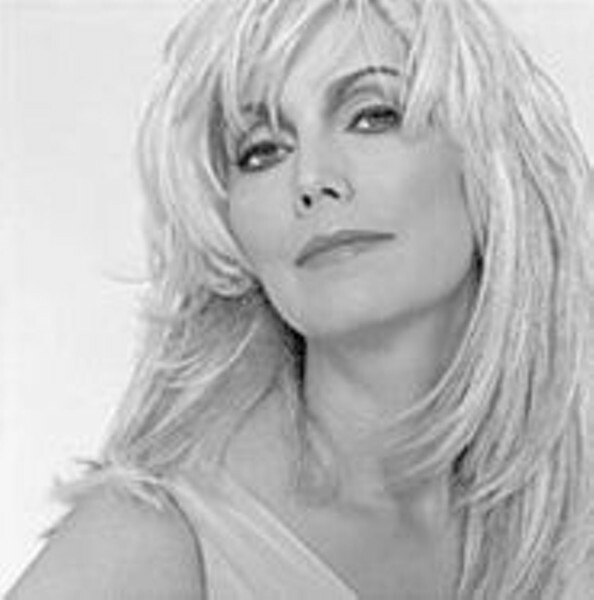 Emmylou Harris ain't no "Stepford Cowboy"
Emmylou Harris has been called a queen, a diva, a living legend and even a sacred cow of country music, and perhaps she deserves each of the labels equally. Her position grows stronger with every song penned and every award won -- among the most prestigious are eleven Grammys and a Billboard Century Award. But listeners would be hard-pressed to tune in to any standard country station and hear her razor-edged voice coming from their car's speakers. This wasn't always the case. Harris was a key player in the renascence and mainstreaming of country music, together with the likes of Bob Dylan, the Band, Neil Young and Gram Parsons. Together they familiarized America with a mode of country music that had been almost completely rejected by youth culture. In doing so, these musicians brought together baby boomers and country fans, two facets of society that had previously viewed each other only from a very suspicious distance. Today, Harris is satisfied that her music draws a cross-section of America: "That just delights me. It proves what I've always thought: that people are eclectic in their tastes, just like me. Most people don't listen to only one kind of music. For the most part, I think people just want to hear good music." Good music has always been a part of Harris's life. At sixteen, living with her military family in a suburb of Washington D.C., Harris picked up the acoustic guitar and began to develop her sound as a folk singer, keeping the country music that had filled her youth in Birmingham at a distance. "I could resist my Southern culture because a lot of it was corny, a lot of it was bad -- and how do you get past those hairdos? And those outfits? What is that?" But when Gram Parsons invited Harris to sing on his first solo album, these roots shone through in a voice born for country music. After Parsons' death, Harris continued to develop as a musician, though primarily as an interpreter of others' songs, penning only a single album, 1985's The Ballad of Sally Rose, which became a stereotypical commercial flop/critical success. In the mid-'80s, on such classic albums as Pieces of the Sky and Elite Hotel, Harris moved even closer to the country music establishment, covering the likes of Don Gibson, Merle Haggard, the Louvin Brothers, Buck Owens, Dolly Parton and Hank Williams. But the story is a familiar one: As country music became more pop than twang (what Harris calls the "kind of 'Stepford Cowboys' stuff"), Harris and others found themselves alienated from the industry they had helped to revive. Stumble into Grace is Harris' twenty-sixth album, continuing her movement away from the country music that she worked so long to promote. The world music influence and modern production, however, cannot mask the country cast to Harris' voice. That, together with a bevy of fellow country voices, will keep the album firmly filed under "Country" at your local music store. Grace is only one of a few original albums that Harris has released. But Harris has revealed a latent talent for songwriting, one which she had unconsciously avoided cultivating because of an anxiety of influence: "I don't know how to explain this late blooming as a writer. I think I got into singing these really classic songs as an interpreter, the level of songs I was singing was so high, to me, that there was probably a little bit of intimidation at work. And I was very happy interpreting." But a listen to her recent original work reveals a mature poetic voice that suggests Harris has been honing her skills over the years, wisely taking her lessons from those classics. As pal Lucinda Williams observes, "Poets don't even get to be respected until they're into their 50s or 60s and they've honed their craft." At 56, Harris is surely earning that respect in the eleven originals on Stumble into Grace. Grace concerns itself with weighty, mature themes; songs about death and politics conjure up the consequences of not attending to one's world, both the personal and the public. The songs take the tenor of a woman looking back, watching her life fade away and ruminating over its peaks and valleys. "Death is the heaviest thing you can sing about. It gives the songs a certain weight. And that's what I want: I love dark, heavy songs. They're usually the most interesting ones to sing, the ones that evoke the most emotion. It's hard to resist. And when those things are in a song, I don't find them morbid. They become transcendent." Not many singers possess voices that can successfully perform a lyrical treatment of death without sounding puerile or shamelessly earnest, but Harris works within a sorority of voices, sings with women confident in their experiences -- Kate and Anna McGarrigle, Jane Siberry, Julie Miller and Jill Cunniff. Linda Ronstadt joins Harris on "Strong Hand (For June)," her tribute to June Carter Cash, a paean to the human dignity of simple faith. "I got the news she was gravely ill and going to die. At that point I felt the record was finished, but I picked up the guitar and the song came out." "Lost Unto This World" and "Time in Babylon" tune into Harris' frustration with our public failings, the former recounting the brutality against forgotten women while the latter bemoans an America where "you can sell your soul and dignity for fifteen minutes on TV." Harris has lived in Nashville for the past two decades but tends to keep the company of musicians who pride themselves on their distance from the musical mainstream -- Steve Earle, Gillian Welch, Lucinda Williams. They share in common an attachment to country music's roots, along with the kind of liberal outlook that motivated Harris earlier this year to add her name to a full-page New York Times ad against the war in Iraq. "We live in Nashville with a little 'n.' There's this other Nashville that comes up with the slick Muzak that is presented to the public. And then there are all these interesting songwriters and artists that are living there and have their own little network. It's actually a great place to live. I've become quite enamored of my funny little hometown."